SALT LAKE CITY--(BUSINESS WIRE)--Dec. 13, 2018-- Control4 Corporation (NASDAQ: CTRL), a leading global provider of smart home solutions, offers some of the most extensive smart home personalization and customization available today with a range of devices. 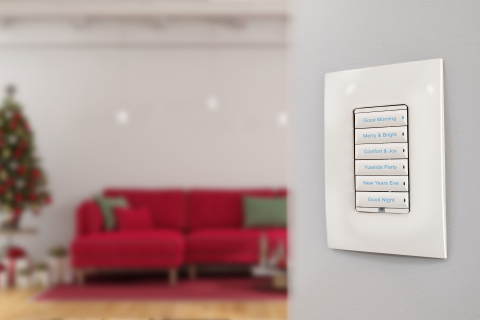 Control4® smart lighting can start with a single Control4 Wireless Switch or Keypad in a single room and expand to the entire home to manage, control, and automate all the smart devices in a system. Control4 offers one of the largest interoperable ecosystems with more than 12,500 devices and professional installation from a certified dealer network across the globe. Control4 smart lighting is available with a Control4 system and can be seen at Control4 Certified Showrooms. For more information on Control4 visit www.control4.com.